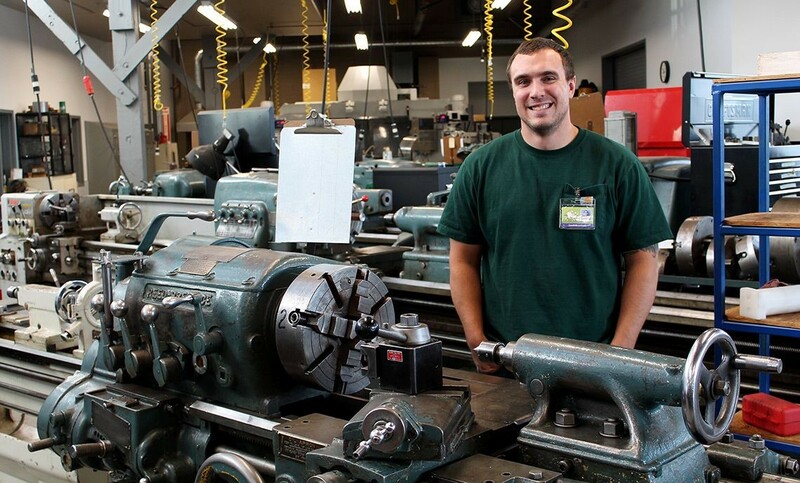 Why Choose the Manufacturing Technologies Program? The manufacturing field is always changing with new technology and state of the art machinery. Students discover how quickly and efficiently they will be able to design and build parts using Mastercam, Solid Works and CATIA, finding that using math and computers there are limitless opportunities at their fingertips for what they can make out of a chunk of metal. Our Manufacturing Technologies program prepares students to use conventional machine tools, computerized machine systems and metals to produce precision parts for machinery. Students gain the math and computer skills, as well as the hands-on experience, needed to step into a workforce in need of qualified workers. If you enjoy math, working with machines and making things, this might be the program and career path for you. Training includes preparing and operating conventional machine tools and CNC machines, blueprint reading, shop math, precision measuring and more. Select materials necessary to plan and manufacture parts that meet essential customer specifications. Evaluate work, analyze quality and generate recommendations for continuous improvement. Communicate effectively and professionally both verbally and through written documents, including illustration. Use time management skills to recommend improvements and create customer requirement using blueprint specifications. Apply problem-solving and decision-making skills to overcome obstacles in completing objectives. Utilize online training resources; apply knowledge to master task on project work pieces in the lab environment including safety in the workplace. 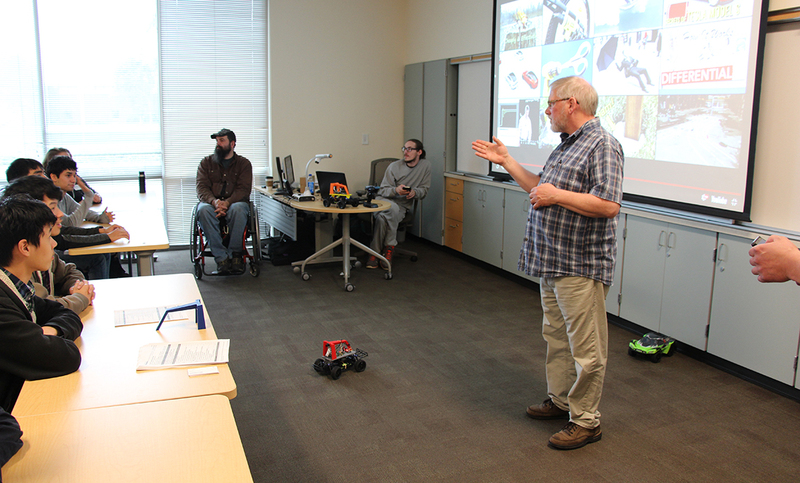 Manufacturing Technologies Program Information Sessions are hosted in Building 25, Room 105, at 3 p.m. on the second and fourth Wednesdays of the month. For more information and a complete schedule of session dates, click here. 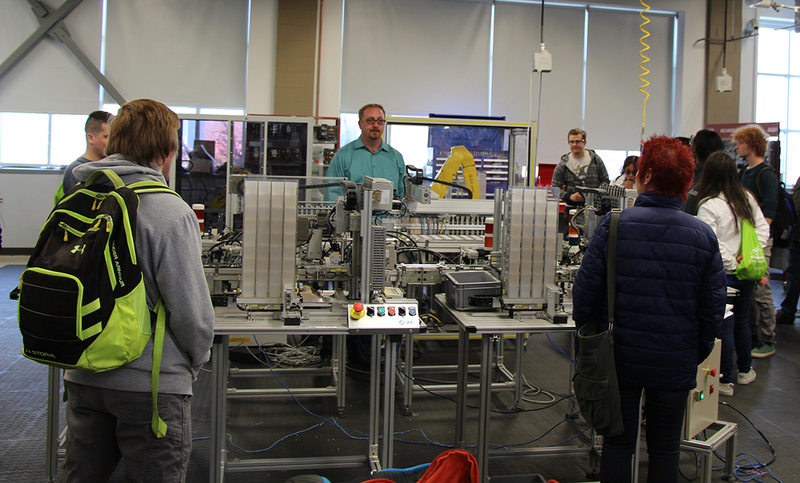 Two hundred local high school students had the chance to tour CPTC's Advanced Manufacturing labs during the college's Manufacturing Day celebration on Friday, Oct. 13. As Jake Boushack prepared to separate from service with the U.S. Marine Corps, the artilleryman researched employable fields in Washington state. Manufacturing caught his attention and Boushack found Clover Park Technical College offered the ideal program to prepare him for his post-military career.